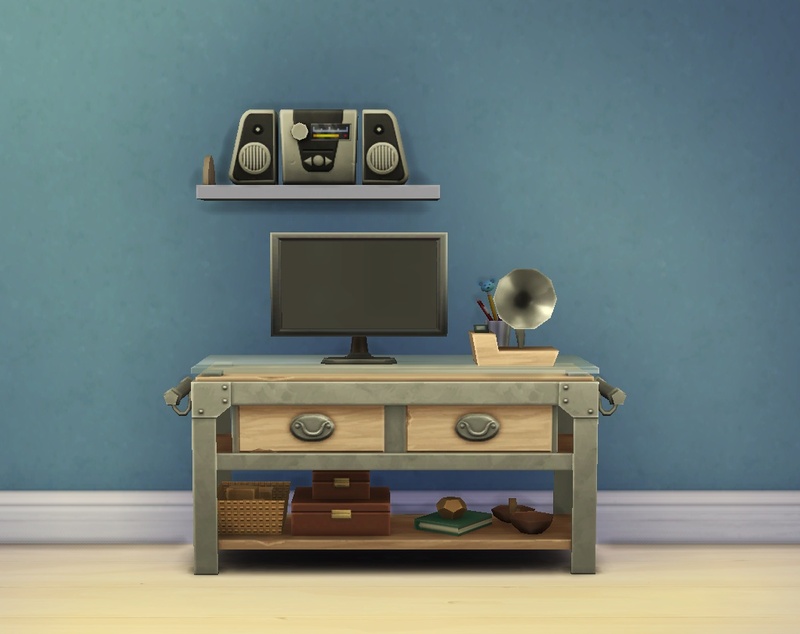 This makes it so that the base game tabletop TVs and small audio devices can be placed on side tables (not sure whether they go on fireplaces and dressers by default, but they now do that too). 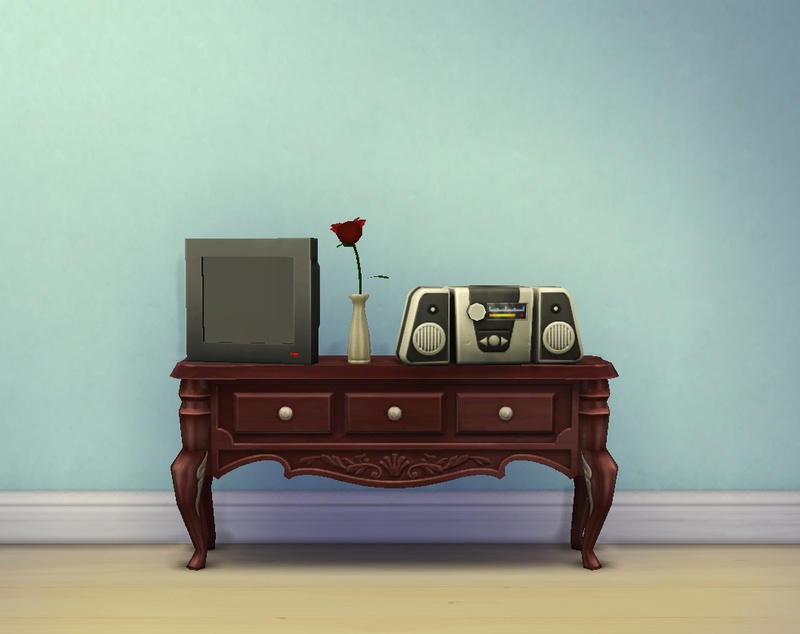 Kaboom Box, Grammyfone and InstaVision ( = the small flatscreen TV) will also go on shelves. 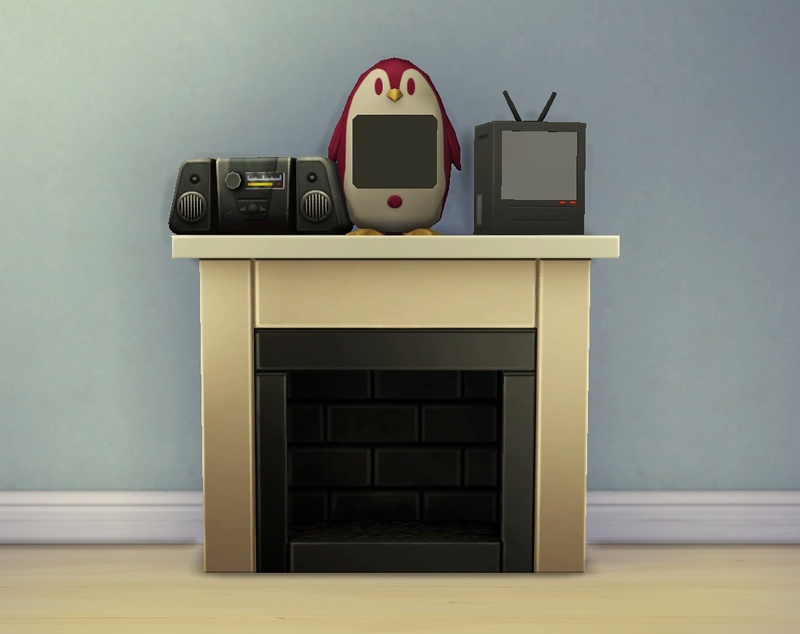 Update 2014-12-16: Files updated for 1.3.18.1010. 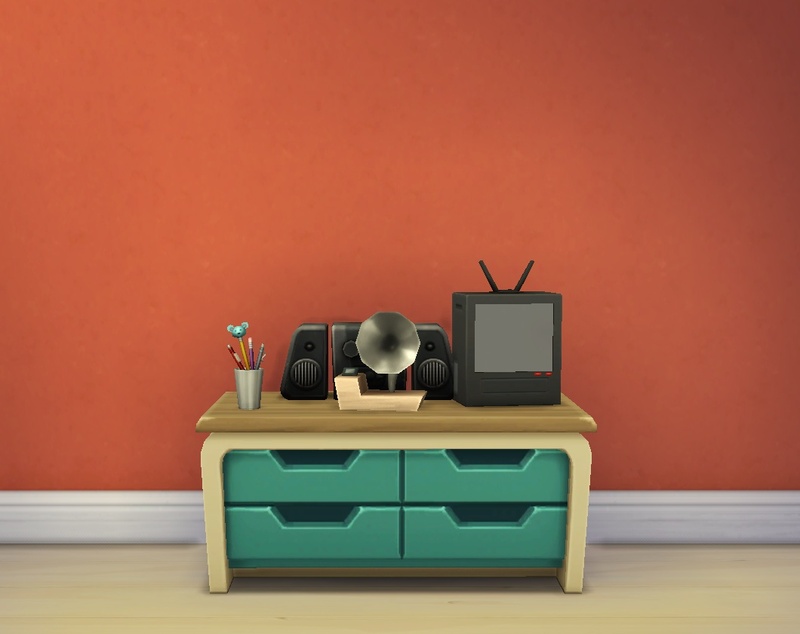 The "feetprint" package is not necessary any more now (only the other ones are) – you can use the bb.moveobjects cheat from now on to place the stuff that won't place otherwise. When re-downloading note the package has a new filename now (with version number) so make sure you delete the old one. Update 2014-11-02: Added the Sea Captain's clock, it now also goes on shelves (separate .zip below). 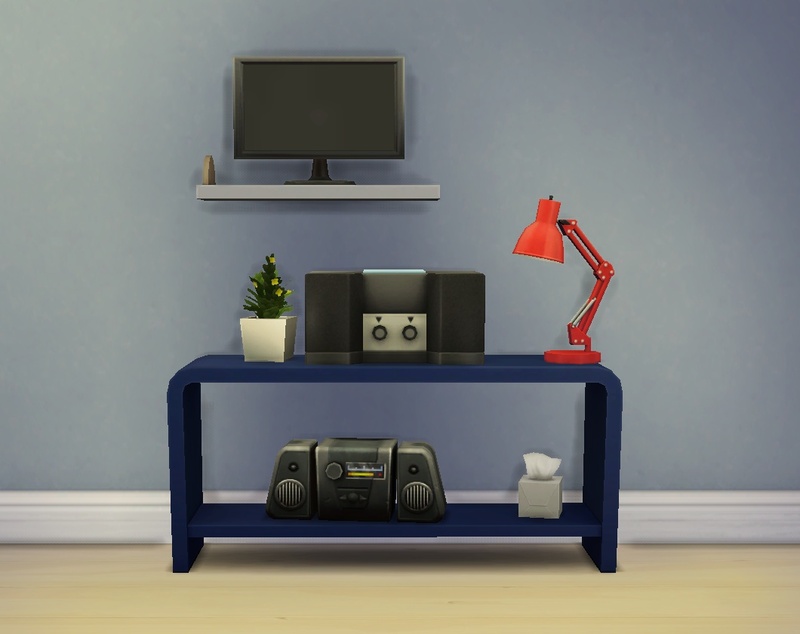 Note to builders (2015-01-25): From what FakeHouses|RealAwesome posted here, downloaders still need this mod when you have used it for decorating a lot you upload, otherwise stuff on shelves will disappear. Maybe this will be fixed in some future patch (apparently just using bb.moveobjects has the same issue under some circumstances), we’ll see. 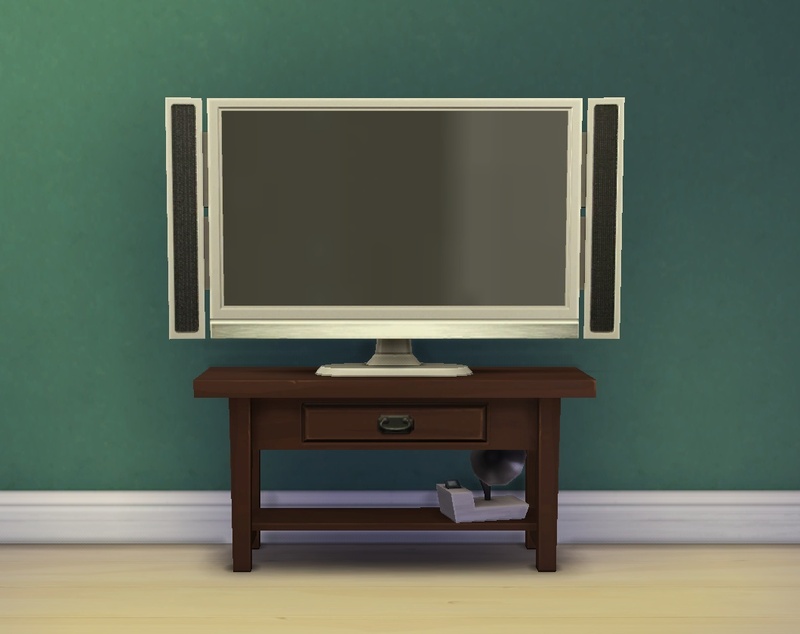 The large TVs will only go on dressers off-center (which looks rather odd) since the slots on those are different from side tables. 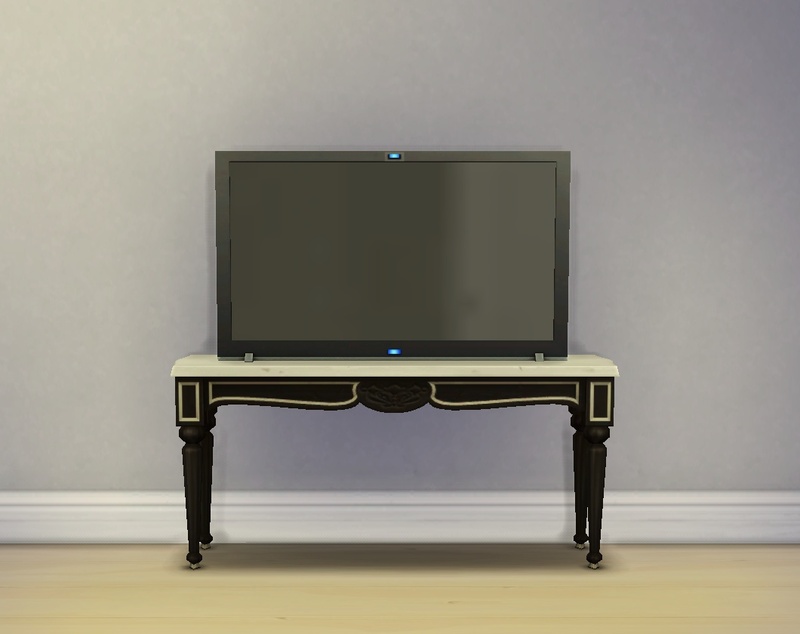 They look fine on side tables though (can't have one without the other). 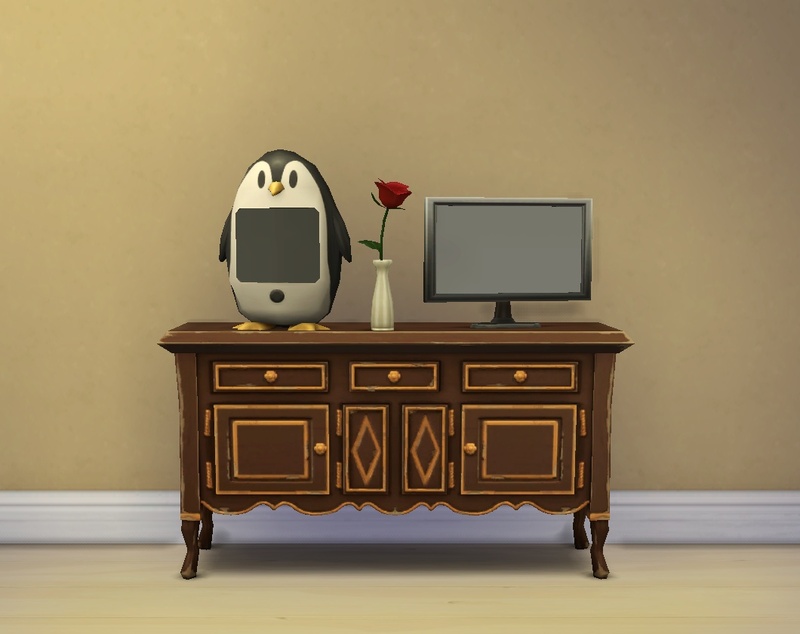 This is kind of a temporary fix – right now it is not possible to edit the ftpt directly (not with the tools that are publicly available at least), so I'm referring to a smaller one instead (InstaVision for the Kaboom Box, tudor mantle clock for the others). 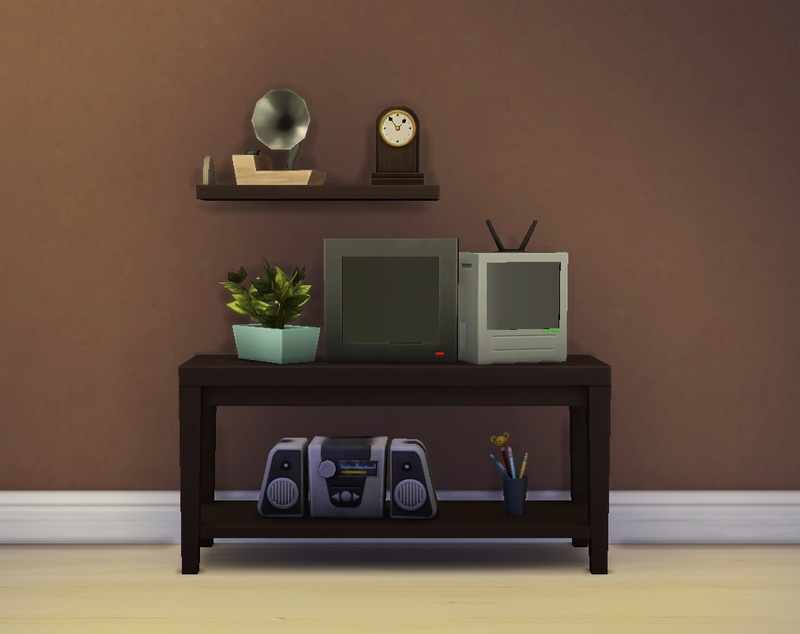 One thing I didn't check is whether it may now lead to clipping when sims place stuff like empty glasses on a side table; feedback appreciated (preferrably with a screenshot!). Electronics placed using the modified feetprint reference thing will survive saving/placing lots if they are on a surface. When they are on the floor, the game will nuke them (or stuff next to them) in the usual manner when it finds the default footprint is too large. Updated for 1.3.18.1010, see above. 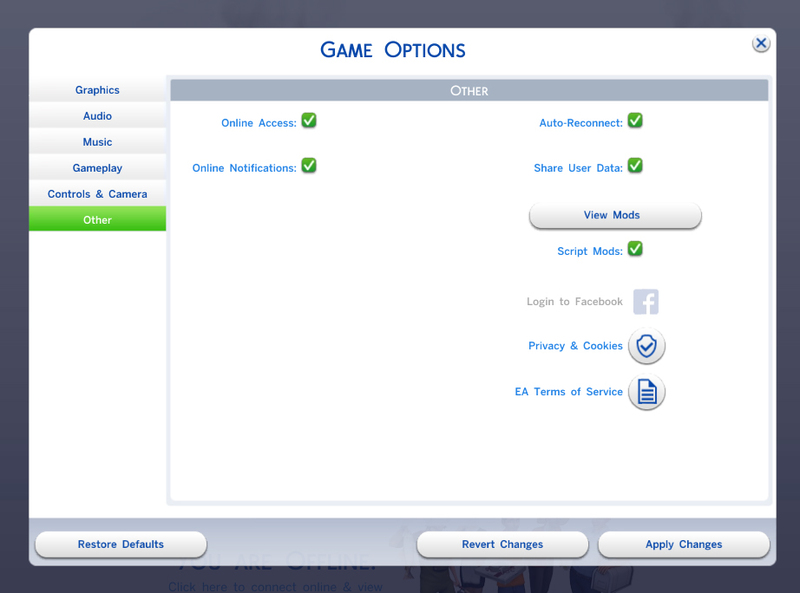 Checked for differences in 1.2.16.10, the only change I can see is four new UNKS that are all 0 so should work fine. S4PE, Notepad++. Thanks to Snaitf for the tip and Inge for the wrappers. More discussion of flags and stuff here.